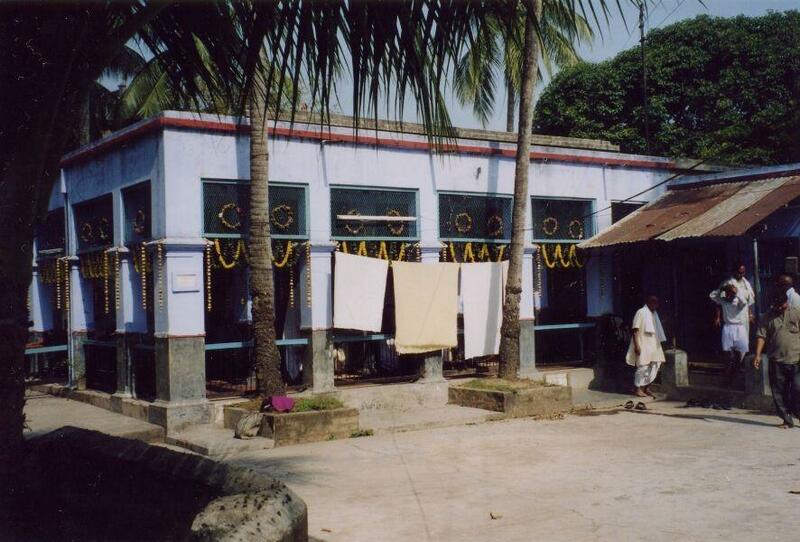 Navadvipa is 130 km north of Calcutta, next to the Ganges River. 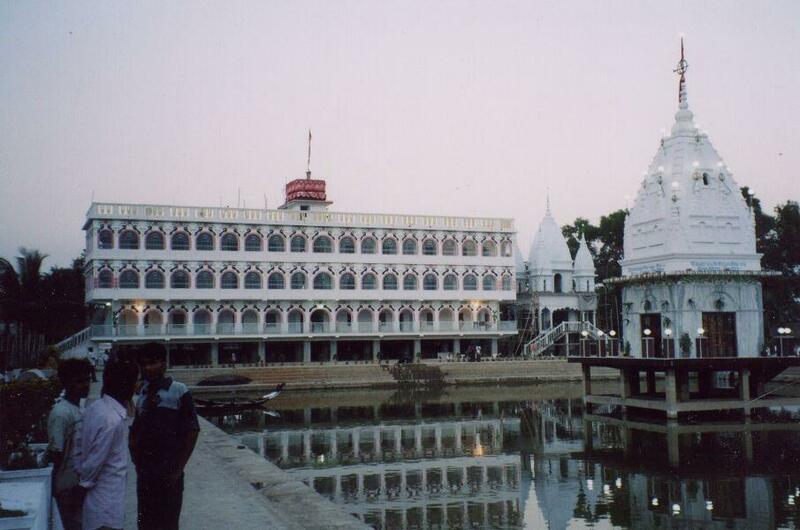 Across the Ganges River from this city is Mayapur. 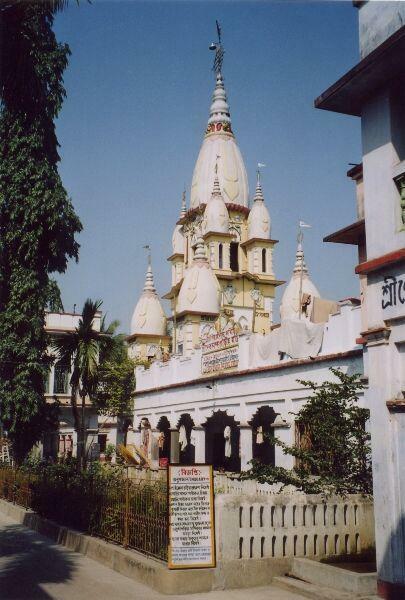 Navadvipa was the capital of Bengal in the 11th and 12th century. There are many temples here. 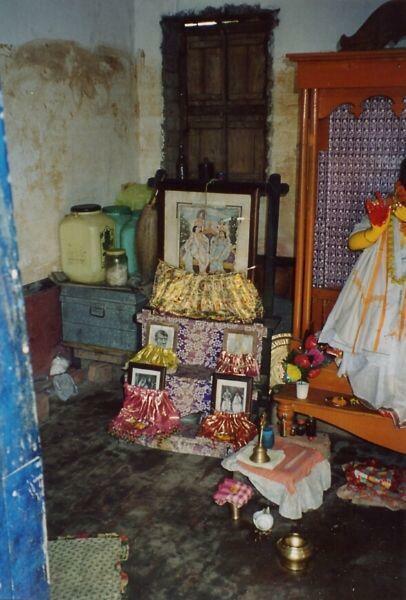 Sri Caitanya Sarasvath Math. 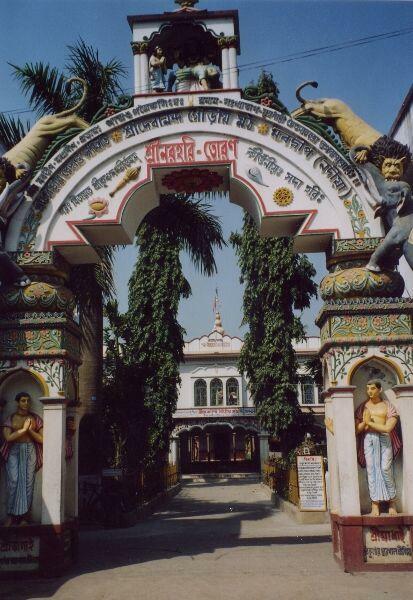 This temple was established in 1941 by Srila Bhakti Raksaka Sridhar Maharaja, one of the chief disciples of Srila Bhaktisiddhanta Saraswati Maharaja. 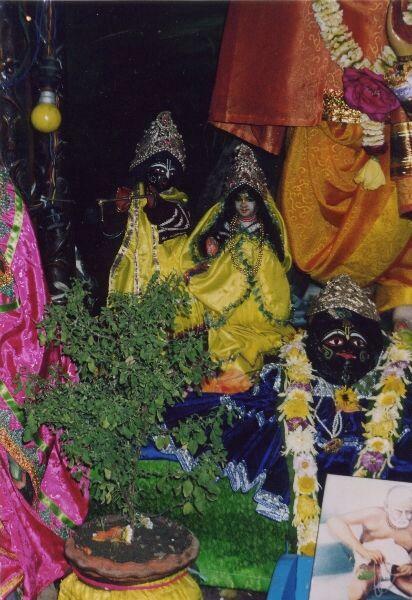 The Deities in this temple are Sri Sri Guru-Gauranga-Gandharva-Govindasundarji and Sri Sri Laksmi Varahadeva. 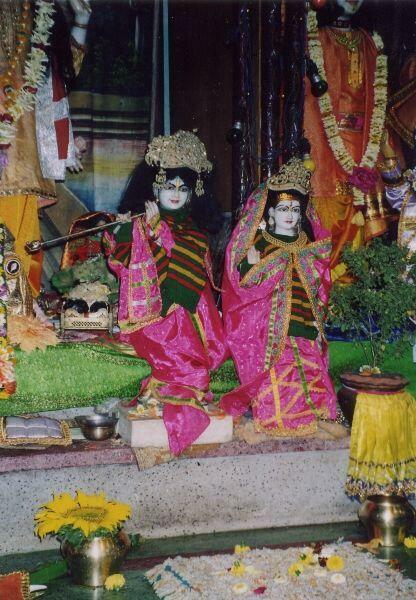 This temple is located in the Kolerganj area of Navadvipa near the new bridge that goes across the Ganges. It has a new museum. 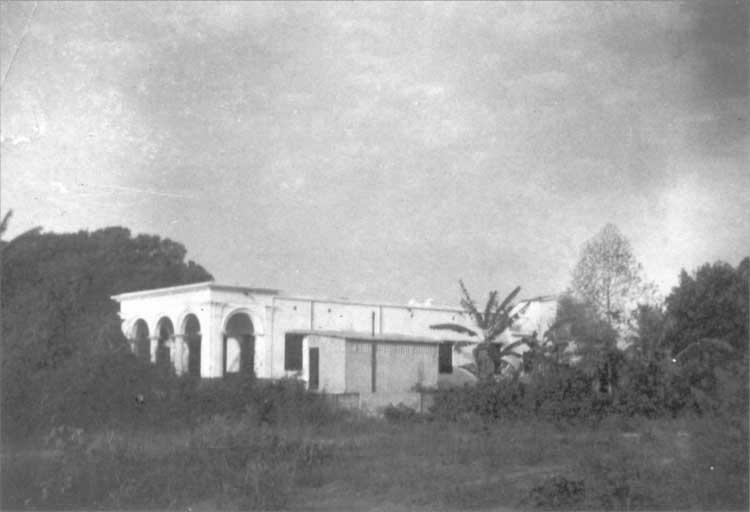 Overnight stays are limited to persons closely affiliated with this Mission. 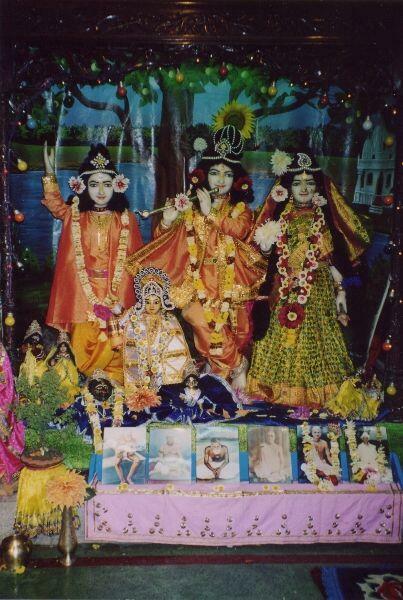 Srila Sridhar Maharaj, acharya of Caitanya Sarasvath Math as a natural paramahamsa and as being established in the nirgunaplane of devotion, Srila Govinda Maharaj continues to spread the doctrine of loving devotion as revealed by Lord Sri Chaitanya Mahaprabhu all over the globe. 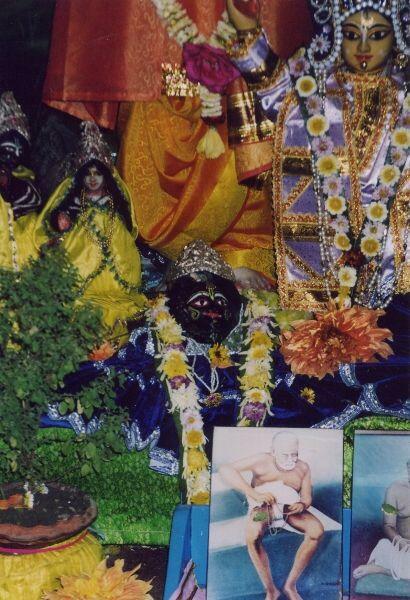 Srila Govinda Maharaj’s deep devotion and wisdom combined with his unique humour, sweetness and compassion make him the perfect master of the Gaudiya Vaishnava Tradition for the 21st century. 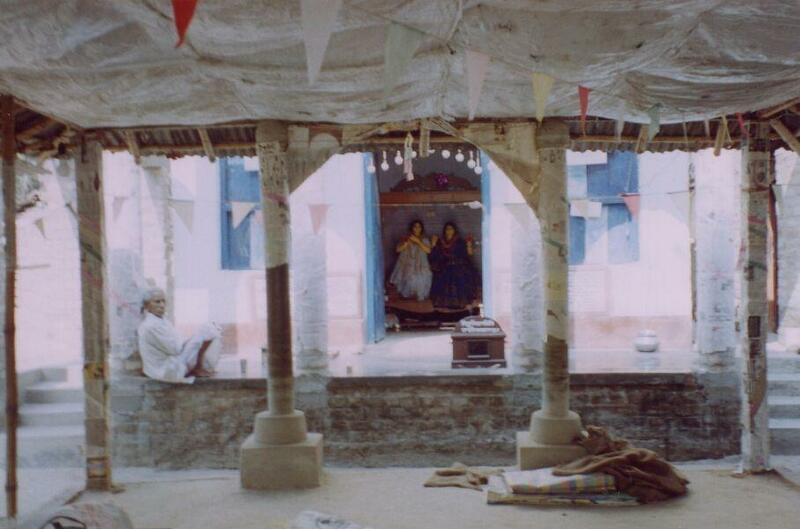 Sri Sarasvati Gaudiya Mission This temple was established by Sri Parivrajacarya Srimad Bhakti Rupa Siddhanti Maharaja and his sannyasa disciple Sri Bhakti Svarupa Maharaja. 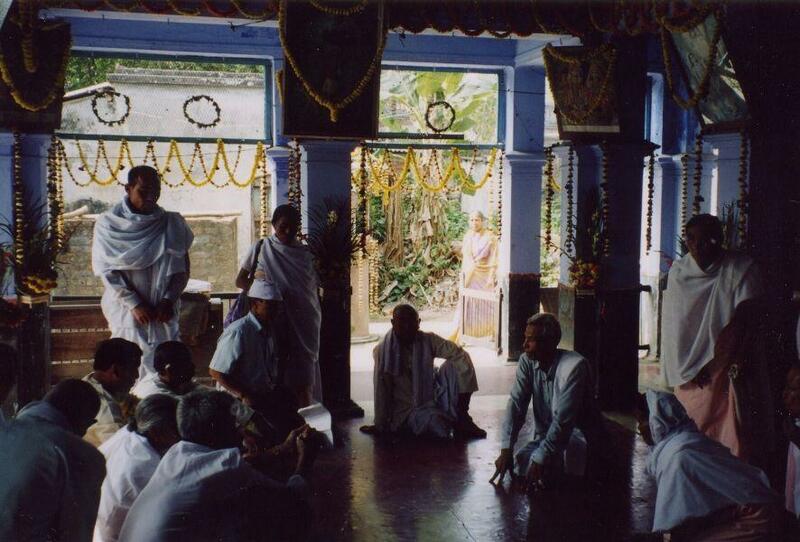 They were disciples of Srila Bhaktisiddhanta Maharaja. 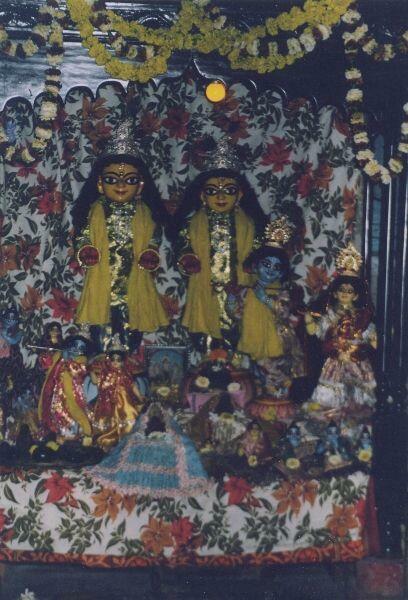 Vishnu Priya devi dasi was the ideal of divine self-surrender at the lotus feet of Mahaprabhu. 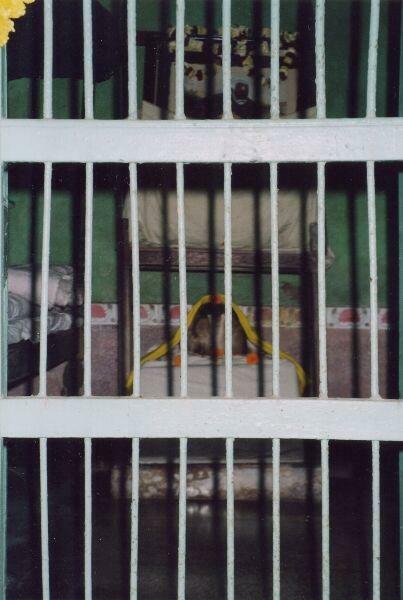 When she was only fourteen, Mahaprabhu took sannyasa, and after that she lived the rest of her life in penance. 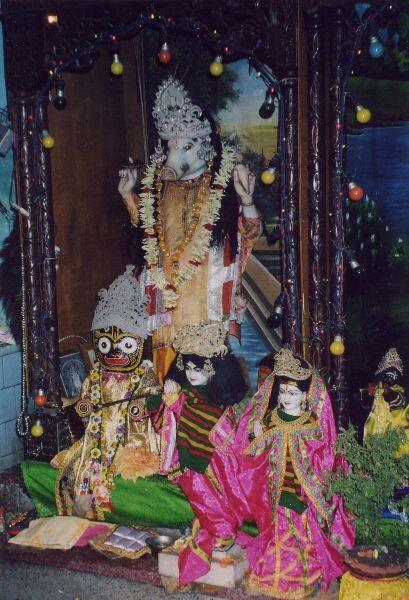 From early morning she would take the Holy Name the whole day, and for every Mahamantra that she chanted, she would put one grain of rice into a clay pot. After chanting her quota, she would take that rice and cook it and offer it to the Lord. That was all she would take for her subsisitence, so gradually she became emaciated. She passed her days in this way. 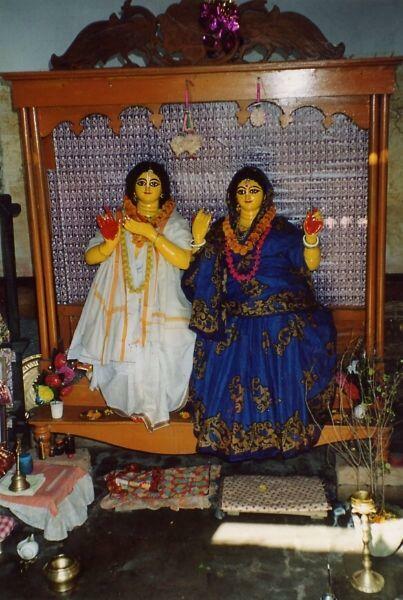 Her brother was her guardian after Sacidevi departed, and ultimately she had a Sri Murti (Deity) of Mahaprabhu, and she would worship Him in that form. 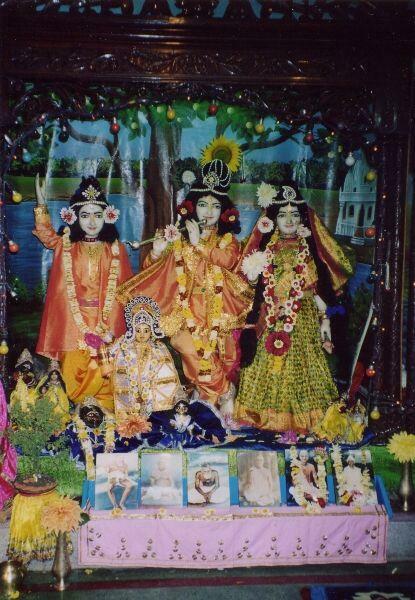 And since the time of Visnupriya, that worship is being continued up to the present in the Temple here in Navadvipa known as 'Mahaprabhura Badi (the house of Mahaprabhu). So this day of the year is connected with her holy memory, and we may achieve her Grace if we honor this time in her name, discussing her pastimes. she will be propitiated and Sri Caitanyadeva will also be pleased with us, giving us a step forward in our transcendental march towards him.